Home » News » Winter Weather Advisory: We’ll be OPEN! 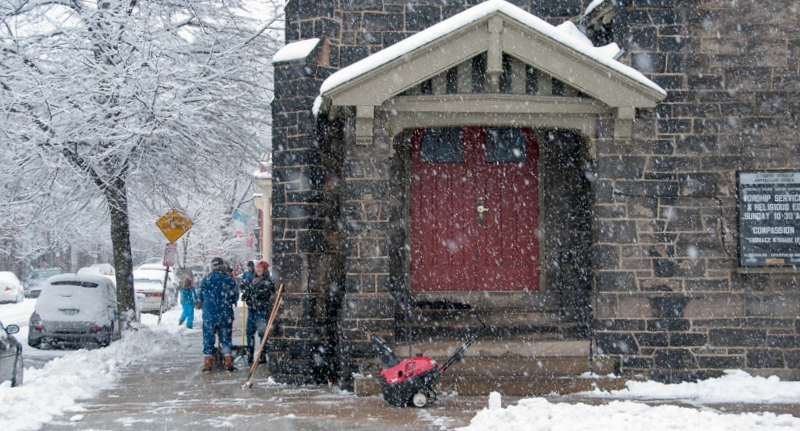 With wintry weather arriving this weekend a reminder that regardless of weather we gather each Sunday for a 10:30am worship service. Even if the weather doesn’t cooperate, the sidewalks and steps will be cleared and we’ll be here! If the weather is severe enough that speakers, worship hosts, musicians, etc can’t make it, then we may all need to be flexible and the service format may be a little different, but we will strive to have a meaningful spiritual experience for anyone who can attend. Your safety is the most important thing – evaluate the conditions and your trip to and from the North Side. We realize that bad roads, or cold temps, or a threatening forecast may keep you away. We will miss you but we’ll understand if you stay home. Hope to see you Sunday!